Before continuing my response to Lance Conley’s article in which he attempted to respond to my article on Romans 11, I want to take note that on FaceBook, Conley’s initial response to my articles was one word “Silliness.” Since then, he offered a longer response. In that response, he admitted that he had not discussed the suffering and martyrdom motif. His reason? He claims it is “irrelevant” to his discussion. This is nothing less than amazing! Conley introduced Romans 8 as a key argument against my articles on Romans 11. So, to him, Romans 8 is clearly extremely relevant to the discussion. If not, why introduce it and offer lengthy comment on it? And yet, when I pointed out that he had totally, absolutely, 100% ignored the controlling motifs of Romans 8:16, i.e. son ship, martyrdom and vindication and Shame Versus Glory, he ignored those context establishing, context controlling motifs because they are ostensibly “irrelevant”! As I asked in the first installment of this series, how can you claim to have done a serious, honest exegesis of a text when you admit that you have totally ignored the actual context of that passage? That is a horrible perversion of hemeneutic and it is not exegesis. This is typical of Mr. Conley. He ignores the actual context of passages and simply asserts his presuppositional theology, imposing on those passages, and assuring us that he stands with the ancient church Fathers– as if that is determinative of truth.. In the first installment, I pointed out that Mr. Conley ignored, totally, completely, absolutely ignored the verses in Romans 8 that set the context for Romans 8:18f. This cannot be over-emphasized.Those verses are verses 16-17, where Paul speaks of “son ship” and “the sufferings of Christ.” I pointed out how verse 18 begins with the Greek word “gar” a connective particle that means that verse18f is a development, a further discussion, a discussion inseparably tied to verses 16-17. (Conley conveniently ignores this). So, Conley ignores the context setting, the contextual defining, verses and does not so much as mention them in his entire discussion of Romans 8:18f. As I noted in that first installment of this Responding to the Critics, it is specious in the extreme to claim that you have done a proper exegesis of Romans 8:18f when you have totally ignored the verses that establish and control the context. In that first article I began the development of the significance of the motif of “the sufferings of Christ.” The point of that article is that Paul discusses the vindication of the suffering then being experienced by the Romans, and their future manifestation of the sons of God. (I also discussed the important motif of Shame Versus Glory– totally ignored by Conley). I noted that invariably, the NT posits the vindication at the Day of the Lord as truly imminent and coming soon. In his “response” Conley just waved his hand at the time element just claiming- with no proof- that they are not to be taken seriously because they are God’s time and not man’s time. Nothing could be more wrong. 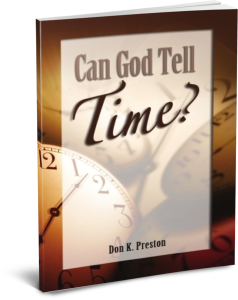 See my book, Can God Tell Time? for a total refutation of Conley’s nonsensical claim. This book totally refutes Lance Conley’s claims that Biblical time statements mean nothing. I want now to continue my exegesis of that motif as well as continuing to develop the motif of Shame Versus Glory. When we look at the consistent development of these concepts it becomes undeniably evident that the manifestation of the sons of God and the vindication of the suffering of the first century saints was to take place at the judgment of the persecutors of the early church– Old Covenant Israel. We continue in Thessalonians. We ourselves boast of you among the churches of God for your patience and faith in all your persecutions and tribulations that you endure, which is manifest evidence of the righteous judgment of God, that you may be counted worthy of the kingdom of God, for which you also suffer; since it is a righteous thing with God to repay with tribulation those who trouble you, and to give you who are troubled rest with us when the Lord Jesus is revealed from heaven with His mighty angels, in flaming fire taking vengeance on those who do not know God, and on those who do not obey the gospel of our Lord Jesus Christ. These shall be punished with everlasting destruction from the presence of the Lord and from the glory of His power. As noted above, the situation in Thessalonians was identical to that in Rome. The Jews were persecuting the saints. They were filling the measure of their sin, and the measure of the saints suffering. This text is a perfect example of the Shame -V- Glory motif in the Biblical narrative. The saints were oppressed, but, they were promised imminent vindication – and glorification – at the Day of the Lord. This is Romans 8:17f! Here, the Old Covenant Seed was persecuting the New Covenant Seed. But, at the parousia of Christ, that conflict would reveal the “sons of God” as the followers of Jesus, just as Peter had promised that those who rejected Jesus as the Messiah would be “utterly cut off out from among the people” (Acts 3:21-24). This is, thus, the manifestation of the Sons of God! Paul said God would repay those persecutors (the Jews) – with tribulation, (thlipsis) the very thing they were giving the Thessalonians. And that would be at the coming of the Lord. Will Conley posit a yet future time when the Jews will persecute the saints? Seriously? We cannot over-emphasize the fact that Paul said that Christ was going to repay with tribulation “those who are troubling you.” When Paul wrote, that was not Rome. It was only the Jews. Paul was undeniably predicting judgment of the Jews for persecuting the Thessalonians. If therefore, Conley does not posit this text in the future, when the Jews will persecute the Thessalonian saints – once again, then this judgment, this parousia to bring wrath on them for persecuting the Thessalonian Christians, is past. And that means that Romans 8 is fulfilled. Paul said that the Thessalonians – not some future, far distant generation of saints– but the Thessalonians would be given “rest” (from anesis, meaning relief), “when the Lord Jesus is revealed from heaven.” That would be the time of glorification, just as in Romans 8. Their Shame would be turned to Glory! Now, once again, the situation in Thessalonica was the identical situation as in Rome. It is, therefore, untenable and unjustified to try to isolate Romans 8 from 2 Thessalonians (or 1 Thessalonians 2). It is likewise wrong to divorce Romans 8 from Matthew 23 and Jesus’ paradigmatic discussion of the sufferings that were to come. Unless Conley and cohorts can demonstrate a radical delineation and distinction between these texts, then all of his blow and bluster about the election is moot. It means nothing. It means that his view of election is wrong. (And it is). Question for Conley: Did Jesus come, in the life time of the first century Thessalonian saints, and give them relief from that then on-going persecution, when he brought judgment on the Jews? Yes or No? If Conley says “Yes” then his entire argument on Romans 8 is falsified. If he says No, then he calls Paul a liar or false prophet. But recall the former days in which, after you were illuminated, you endured a great struggle with sufferings: partly while you were made a spectacle both by reproaches and tribulations, and partly while you became companions of those who were so treated; for you had compassion on me in my chains, and joyfully accepted the plundering of your goods, knowing that you have a better and an enduring possession for yourselves in heaven. 35 Therefore do not cast away your confidence, which has great reward. For you have need of endurance, so that after you have done the will of God, you may receive the promise: “For yet a little while, And He who is coming will come and will not tarry. Now the just shall live by faith; But if anyone draws back, My soul has no pleasure in him.” But we are not of those who draw back to perdition, but of those who believe to the saving of the soul. We have here the identical motif as in Romans 8 and in each of the other texts cited. We have the persecution of the saints. We have the promise that in “a very, very little while the one who is coming will come and will not tarry.” We have the promise of coming salvation in that very, very little while, at the coming of the Lord. Once again, we find the Shame -V – Glory motif. The saints had been, “made a spectacle both by reproaches and tribulations’ but, they were about to receive vindication and their “great reward” when their persecutors fell into the hands of the Avenging God. What is the distinction between Romans 8 and this text? Where is there any evidence that Paul has two totally different historical situations in mind, one imminent and the other two millennia away? Or, where is the evidence that both texts had nothing to do with the first century, historical and contemporary situation and applied to some situation so far removed from them as to have virtually no meaning at all? If (since) the situation in Romans and Hebrews is clearly the same, then the fact that Hebrews posited their vindication as coming in “a very, very little while” this demands that Romans 8 was to be fulfilled soon as well. Conley and his crowd are now fond of saying, “Well, all the preterists have are the time statements.” Such an “argument” is truly revealing. It shows us that the Word of God actually means nothing to them. Their argument essentially says: “All the preterists have is the Word of God, an entire vocabulary of words, terms, phrases, motifs and themes! That is all they have!” Do you catch the power of what they are doing? They are willingly, purposefully, rejecting God’s Word! Are we supposed to believe that we are not to believe what God said about when He would fulfill his promises? Futurists are telling us that although the language of time is clear, emphatic and explicit, that we are to ignore it, deny it, and seek to mitigate it. Such a sad testimony to the power of prejudice and tradition! They will give an account to Him who is ready (once again, hetoimos) to judge the living and the dead. 6 For this reason the gospel was preached also to those who are dead, that they might be judged according to men in the flesh, but live according to God in the spirit. But the end of all things is at hand; therefore be serious and watchful in your prayers. … Beloved, do not think it strange concerning the fiery trial which is to try you, as though some strange thing happened to you; but rejoice to the extent that you partake of Christ’s sufferings, that when His glory is revealed, you may also be glad with exceeding joy. If you are reproached for the name of Christ, blessed are you, for the Spirit of glory and of God rests upon you. On their part He is blasphemed, but on your part He is glorified. But let none of you suffer as a murderer, a thief, an evildoer, or as a busybody in other people’s matters. Yet if anyone suffers as a Christian, let him not be ashamed, but let him glorify God in this matter. For the time has come for judgment to begin at the house of God; and if it begins with us first, what will be the end of those who do not obey the gospel of God? So, Peter, by inspiration of the Spirit, said that Christ was “ready to judge the living and the dead,” and states emphatically that the end of all things had drawn near. He reminded them that they were partakers of the sufferings of Christ. He then states that the time (literally, the divinely appointed time, from kairos) for “the judgment” (not just some judgment, not “a judgment” but “the judgment.”). By the use of the anaphoric article (Also known as “the article of previous reference.” Daniel Wallace says that the anaphoric article is the most common use of the definite article: Daniel B. Wallace, Greek Grammar Beyond Basics: An Exegetical Syntax Of The N.T., 218). What the anaphoric article means is that in v. 17, Peter is referring to the judgment of the living and the dead of verse 5, and said that the appointed time had arrived for that judgment! Peter said that the glory was “about to be revealed” at the appearing of Christ. Like Paul in Romans 8 he uses the word mello with the infinitive. The Blass-DeBrunner Greek Grammar says: “mellein with the infinitive expresses imminence.” (Blass-DeBrunner, A Greek Grammar of the New Testament and Other Early Christian Literature, (Chicago; University of Chicago Press, 1961), 181). The Glory of Christ’s parousia and the resurrection, in vindication of their suffering was near. It had drawn near. The time had come. Resist him, steadfast in the faith, knowing that the same sufferings are experienced by your brotherhood in the world. 10 But may the God of all grace, who called us to His eternal glory by Christ Jesus, after you have suffered a while, perfect, establish, strengthen, and settle you. Once again, Peter assures them that they would only have to suffer (from pathemata, the same word found in Romans 8:18) for a little while longer. It is utterly ridiculous and a mockery of language to suggest that Peter was not promising them imminent vindication and relief, but was in fact somehow saying that they may have to suffer for the rest of their lives without any relief or vindication! But, this is the state to which futurism is reduced. They must destroy all of the exhortative, paranetic, encouragement of Peter’s words and say that he was not trying in any way to tell them that their suffering was to be short lived, and that their vindication was at hand. No, for Conley and his ilk, such as Sam Frost, Peter had no words of imminent relief and vindication for those suffering saints! After all, God does not tell the truth about when things would happen! According to their views, God may not even know how to say something was truly imminent! Something to be noted here is that Peter told his audience that not only were they being persecuted, but that, “the same sufferings are experienced by your brotherhood in the world.” This is not the happiest of translations, for it overlooks the significance of the Greek. The word translated as “experienced” is from ἐπιτελεσθαι, epiteleisthai. This is from epiteleo. And, as I have suggested in other places, this means to bring to fullness. The word not only carries with it the idea of taking place, but, of filling, fully accomplishing, their suffering. This is the filling up of the measure of suffering promised by Jesus in Matthew 23. This is the suffering of the apostles that Paul mentions in 1 Thessalonians 2. This is Colossians 1:24f. This is Revelation 6:9-11. Finally, just as in Romans, in 2 Thessalonians 1, and other passages noted above, we have, once again, the Shame -Versus -Glory motif fully in play. Those saints were oppressed, they were downtrodden. But, they were anticipating the arrival of their salvation and vindication, which was coming soon– they were looking for the “glory about to be revealed.” And that means that Romans 8 was on the cusp of fulfillment, totally negating Conley’s arguments. Obviously, I could discuss the book of Revelation at length, because it contains the identical motifs, themes and promises as Romans 8. And, to make a huge understatement, Revelation undeniably posits fulfillment of its promises – the vindication of the martyrs, the prophets, the apostles and prophets of Jesus – at the judgment of the city “where the Lord was crucified.” This is prima facie falsification of Conley’s article. 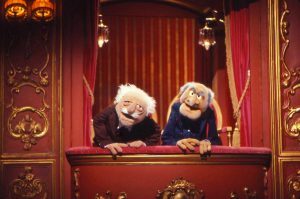 But, for brevity, I will comment on just a final couple of passages in the next and final installment of this series as I continue Responding to the Critics. 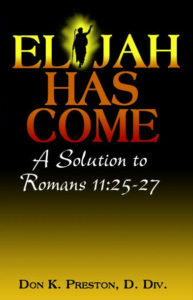 Be sure to get a copy of my book, Elijah Has Come: A Solution to Romans 11:25-27 in which I discuss the persecution of the Romans saints, and how it is the suffering foretold by Jesus in Matthew 23 and other passages.